The concept of skipping out on medical care because we’re embarrassed about our weight is nothing new. Now, a recent study out of Drexel University has taken a closer look at bias, discrimination and doctor avoidance — especially among women. The solution, Mensinger said, is the “weight-inclusive approach” — which is different from the norm, the “weight-normative approach.” With the latter, advice and action is based on body weights that are considered in the normal range. With that approach, a high BMI often prompts unsolicited weight counseling during visits. The weight-inclusive approach involves training health professionals to combat biases against people with higher weights and stop discussions of body size that are unprompted. Is BMI keeping us away? In the study, published in the June 2018 issue of the journal Body Image, more than 300 people who identified as women shared data on their body mass index as well as experiences with weight stigma, body guilt, body shame, health care stress and health care avoidance. 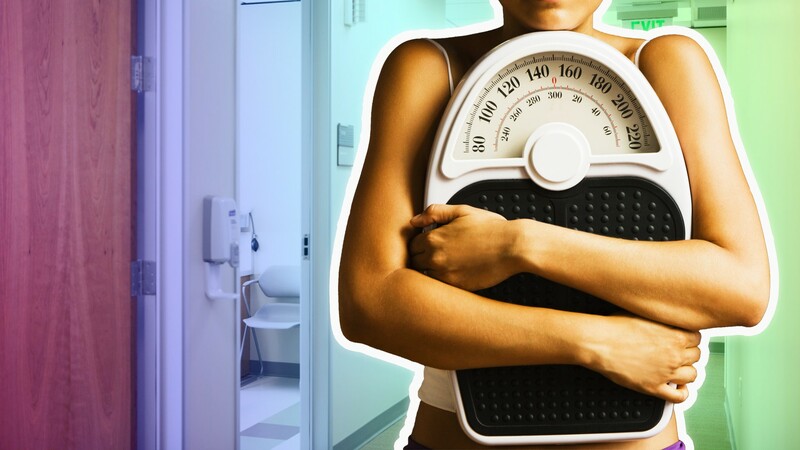 Though BMI has come under fire, it is still used by doctors to dictate treatment. Mensinger said the body-normative approach is doing more harm than good. Tell your doctor up front that you don’t want counseling on your weight. Ask the doctor to complete the exam first so you can relax and then get into a discussion. Bring a shawl as part of your cover-up if the gowns are typically too small or request a larger gown ahead of time if you’re comfortable asking. You can also ask for a plain piece of fabric (some give it in addition to a gown) to cover up. There’s nothing wrong with mentioning you prefer to keep things on the modest side. Refuse to go on the scale and instead get that exam done. If you really need the exam, no one can force you to face the number on the scale. You can get on the scale later. Many doctors or midwives may allow you to come in for a consultation so you can talk about your feelings up front. You may also be able to email or talk to the health care professional over the phone — that way, when you go in, you are in control and know what to expect.